Kappauf and Peter Zipf for their Best Paper Award at the 25th IEEE Symposium on Computer Arithmetic (ARITH 25) for their work on “Karatsuba with Rectangular Multipliers for FPGAs”! We live in a world where technology is advancing at a very fast pace. The current wireless scene includes a multitude of technologies that co-exist in the same environment. New long-range technologies (e.g., Sigfox, LoRa, NB-IoT) manage to transmit small data packets over several kilometers, while consuming just a few mA. Due to the low price of these radio chips, and the simplicity of the network architecture, network operators around the world are deploying these new technologies, as it helps them avoid the classical multi-hop wireless networks that are expensive to build and maintain. However, if deployments continue at the current rate, it will considerably increase the density of devices, which will become very challenging both from a network infrastructure and data collection perspectives. This thesis tackles the problem of how to create a reliable and energy efficient long-range network of millions of devices. Applications received outside this system will not be considered. In the context of digital communication, one main mechanism proposed in the literature to overcome the large consumption of MAC layers when establishing communications is called wake-up radio: The main processor is only waking up when receiving a specific signal, as for instance the node ID in the network. Unfortunately, since most of the wake-up receivers rely on standard micro-controller, they suffer a large decrease of energy efficiency. Nevertheless, if the wake-up receivers was designed with neuromorphic circuits, one could achieve high energy efficiency for IoT and ad hoc networks. The main question that is tackled in this presentation is whether a neuro-inspired detection scheme using an Integrate-and-Fire neuron is reliable enough when one needs to detect a weak signal surrounded by noise. Anne Savard received the Eng. degree in Electrical Engineering with specialization in Multimedia Systems from the Ecole Nationale Supérieure de l’Electronique et de ses Applications (ENSEA), Cergy-Pontoise, France, and the M.Sc. degree in Intelligent and Communicating Systems from Univeristé Cergy-Pontoise, both in 2012. 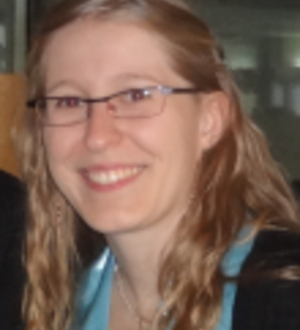 From October 2012to September 2015,she was a PhD student at ETIS Laboratory/ENSEA, under the supervision of Claudio Weidmann and David Declercq. Her research interests include modern channel coding, cooperative communication and multi-user information theory. She defended her PhD entitled ‘Coding for cooperative communications: Topics in distributed source coding and relay channels’ on September, 22th, 2015.